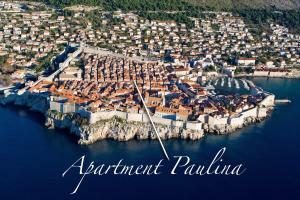 Easily situated in Dubrovnik, this apartment is an outstanding point from which to uncover this energetic town. From here, visitors can enjoy easy access to all that the vibrant city has to offer. Kitchen info: refrigerator, washing machine. Beach Buza, Dubrovnik ~ 0,3 km from Apartments Doklestic Rocky beach: recommended for young people, with caffe bar. Beach Penatur ~ 0,5 km from Apartments Doklestic Rocky beach: with caffe bar. Beach Banje, Dubrovnik ~ 0,5 km from Apartments Doklestic Gravel beach: recommended for young people, with restaurant, with caffe bar, equipped with showers. Excellent choice of watersports. Beach Dance, Dubrovnik ~ 0,7 km from Apartments Doklestic Rocky beach: with restaurant, with caffe bar, equipped with showers. Beach Sv. 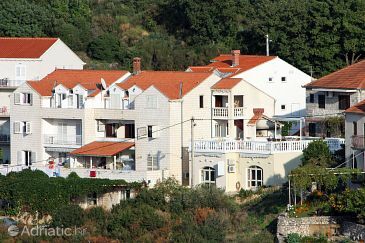 Jakov, Dubrovnik ~ 1 km from Apartments Doklestic Gravel beach: recommended for young people, with restaurant, with caffe bar, equipped with showers. Excellent choice of watersports. Restaurant Konoba Ekvinocijo, Dubrovnik Guest reviews: 8,2/10 ~ 0,3 km from Apartments Doklestic Address: Ilije Sarake 10, Dubrovnik. Cuisine: Croatian cuisine. Restaurant Azur Dubrovnik, Dubrovnik Guest reviews: 9,2/10 ~ 0,3 km from Apartments Doklestic Address: Pobijana 10, 20000, Dubrovnik. Cuisine: Mediterranean cuisine, Fusion, Asian cuisine fusion. Restaurant Konoba Jezuite, Dubrovnik Guest reviews: 8,5/10 ~ 0,3 km from Apartments Doklestic Address: Poljana Rudjera Boskovica 5, Dubrovnik. Prices: 56 HRK - 140 HRK. Cuisine: Mediterranean cuisine, Croatian cuisine. Restaurant Cafe Bar Bard, Dubrovnik Guest reviews: 10/10 ~ 0,3 km from Apartments Doklestic Address: Kneza Hrvasa 11, Dubrovnik. Cuisine: Contemporary, Bar. Restaurant Kopun, Dubrovnik Guest reviews: 9/10 ~ 0,2 km from Apartments Doklestic Address: Poljana Rudera Boskovica 7, 20000, Dubrovnik. Cuisine: Croatian cuisine.